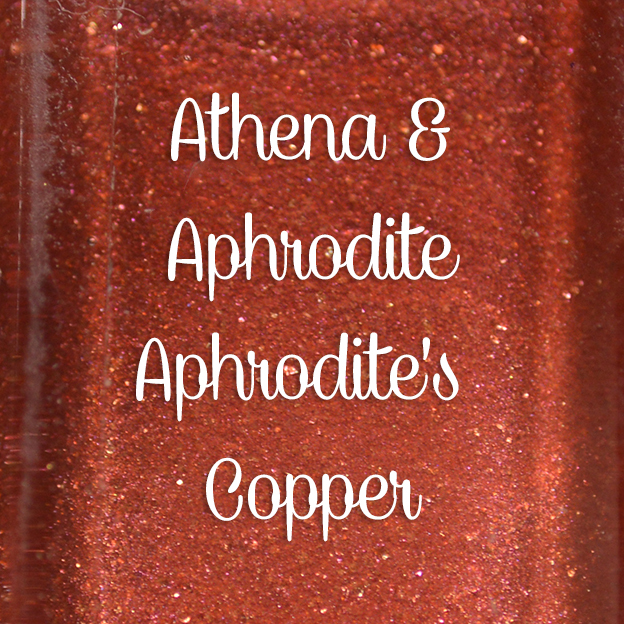 Athena & Aphrodite - Aprodite's Copper is described as a copper/wine color that has a beautiful shimmer like glitter. 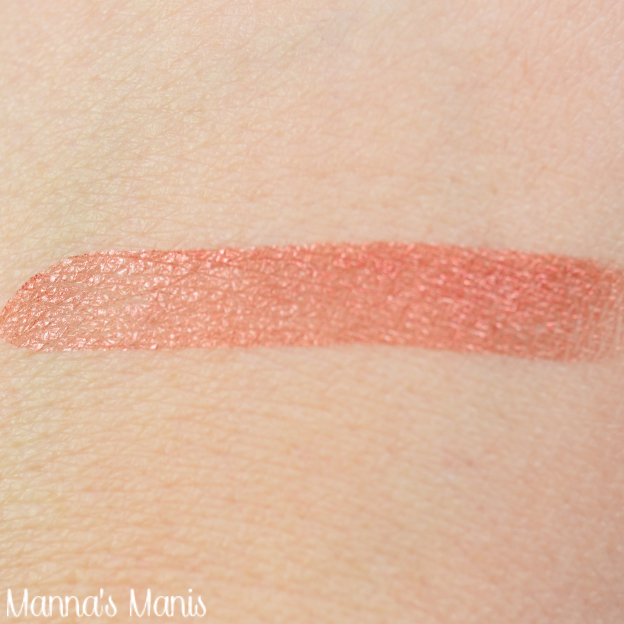 A truly unique shade, I used 2 coats to reach full opacity here. 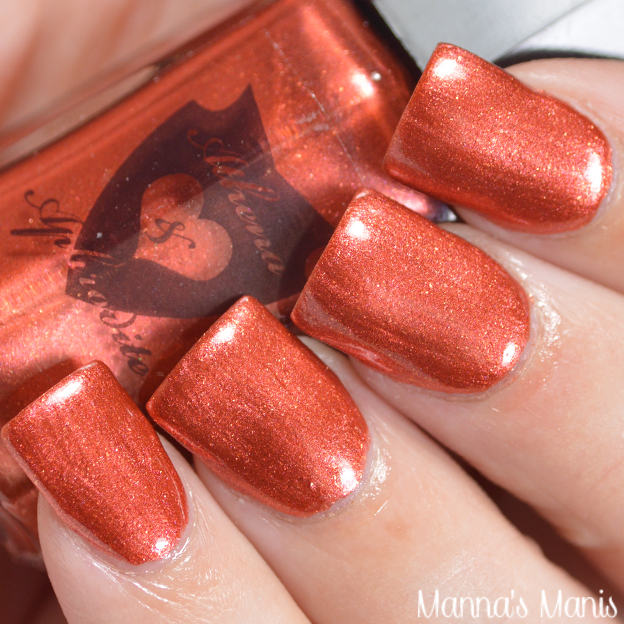 This does have a metallic finish, so be careful to not overwork the polish, because it tends to drag a bit. 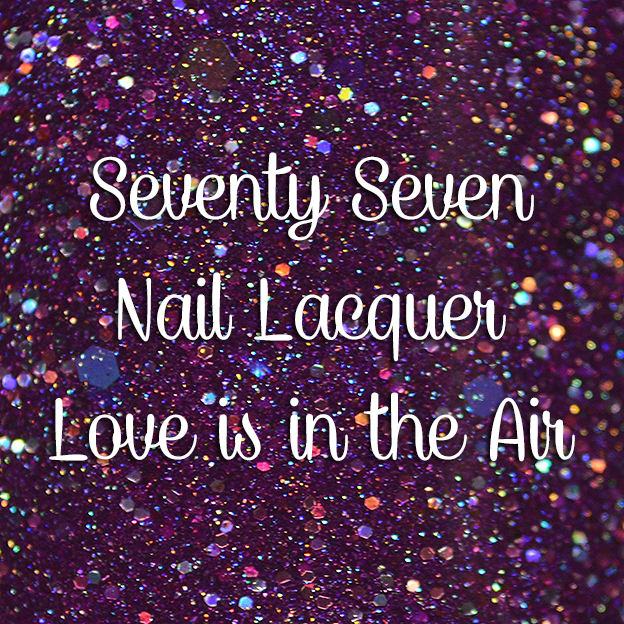 Seventy Seven Nail Lacquer - Love is in the Air is described as a cranberry/grape color filled with various sized glitter and shimmer. 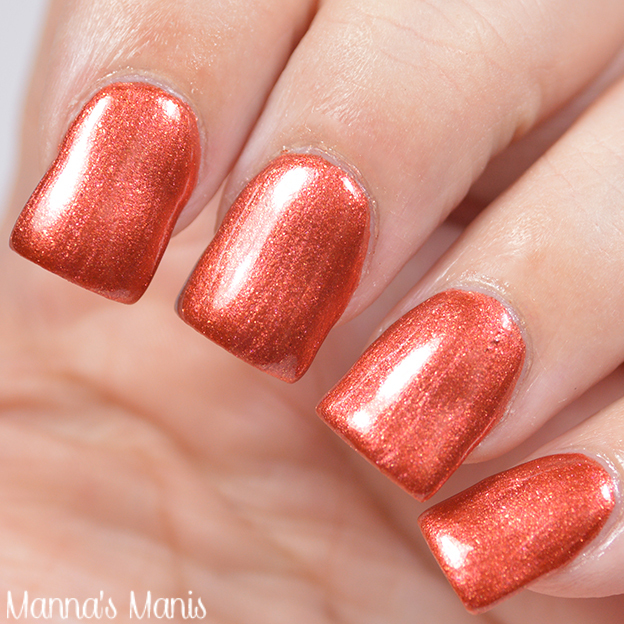 The formula is slightly on the thicker side, and the glitters dragged a tiny bit on the nail. 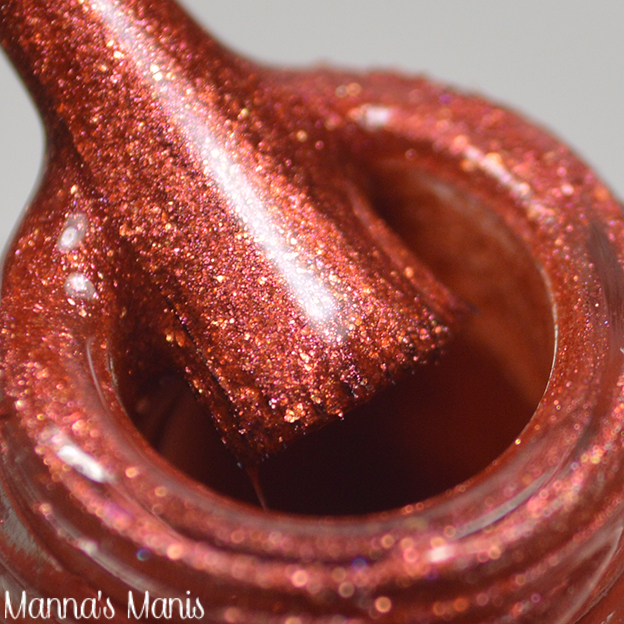 Some of the glitters were larger and I had one pesky glitter that didn't want to lay down smoothly. 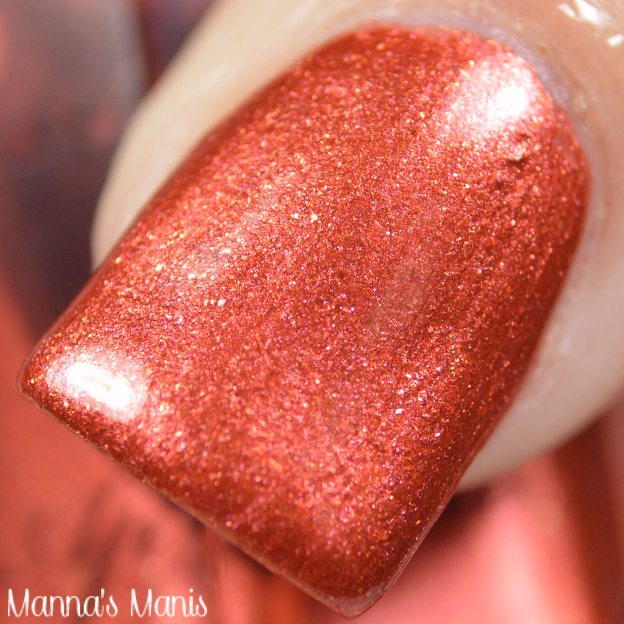 Shown above is 2 coats. 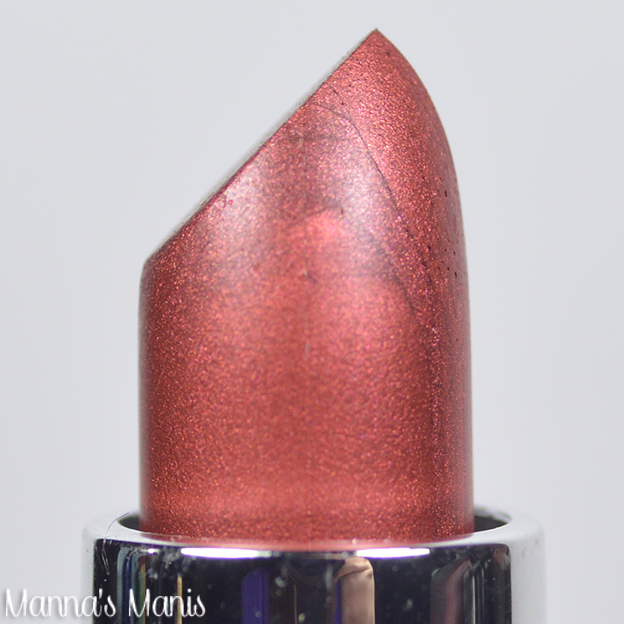 Aphrodite's Wine is described as a stunning metallic wine red full sized lipstick, and is made of only natural products. 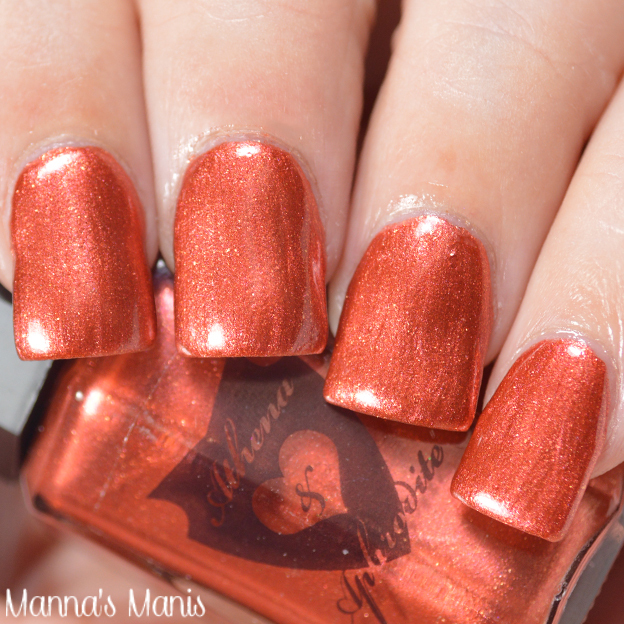 It was made to be paired with A&A's Aphrodite's Copper polish. I could definitely see the pairing for Valentine's Day! Pandora's Heart Shower wraps are a fun arrangement of hearts of all sizes. Unfortunately, I don't apply wraps to my natural nails, especially now that 2 of my nails have fake tips, I'm afraid of the aftermath. Application seems easy enough, think Jamberry..except you'd be supporting an indie instead! 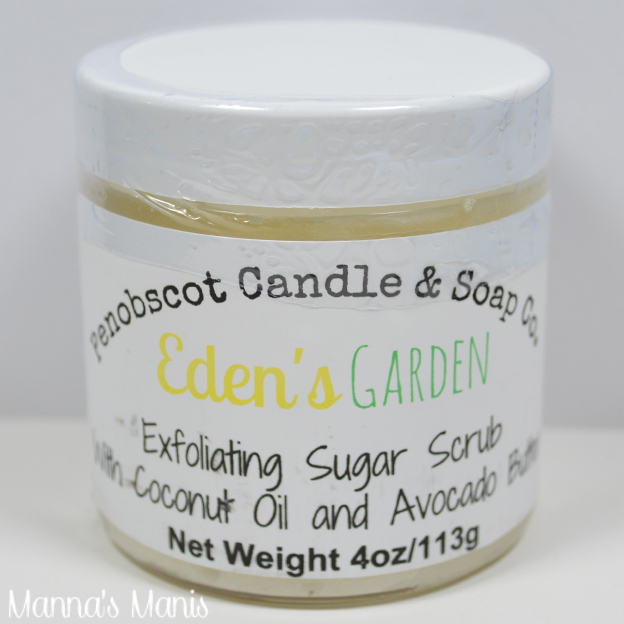 Penobscot Candle & Soap Co.
Eden's Garden exfoliating sugar scrub and body butter has fresh notes of white florals, lily, gardenia, narcissus with notes of orange and lemon and a soft hint of green. The scent is TO DIE FOR. Absolutely amazing..one of the best scents I've ever smelled in a sugar scrub. I don't think I've ever had avocado butter in any of the scrubs I've tried. The aftermath left my hands a little more greasy than I prefer, but my hands were ohso smooth. 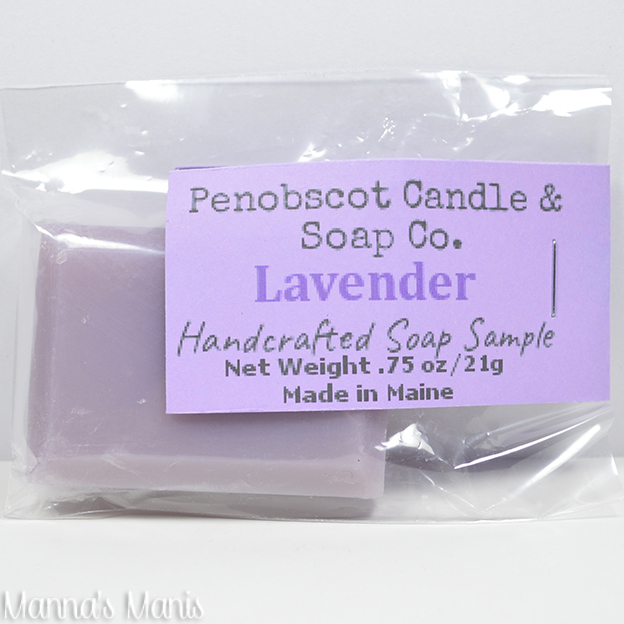 Penobscot also included a lovely lavender handcrafted soap sample! 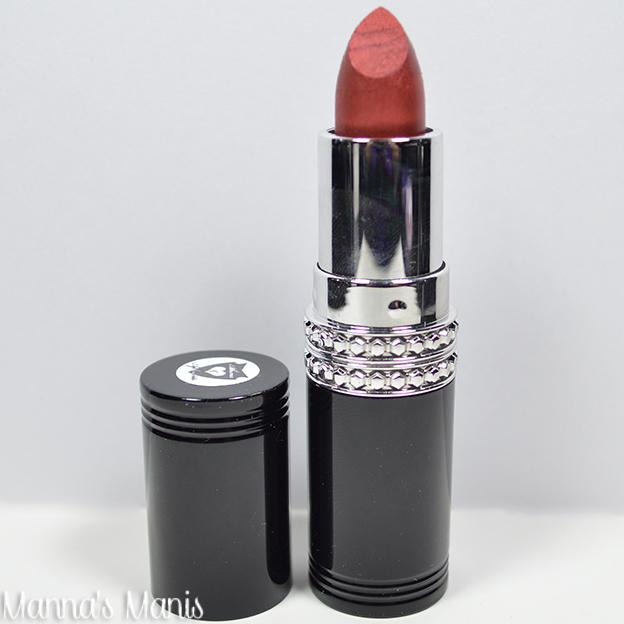 It's vegan friendly and gluten free, and mild enough for the most sensitive of skin. Lavender is one of those scents that you either love it or hate it, no in between. Well, I LOVE IT. 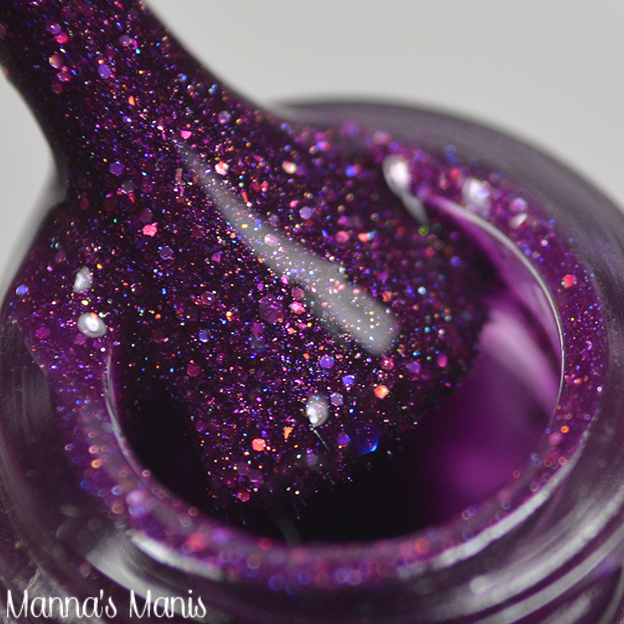 I've heard so many good things about Ever After's Hand Crelly, and I was so excited to see this in the box! I've been wanting to try it forever. 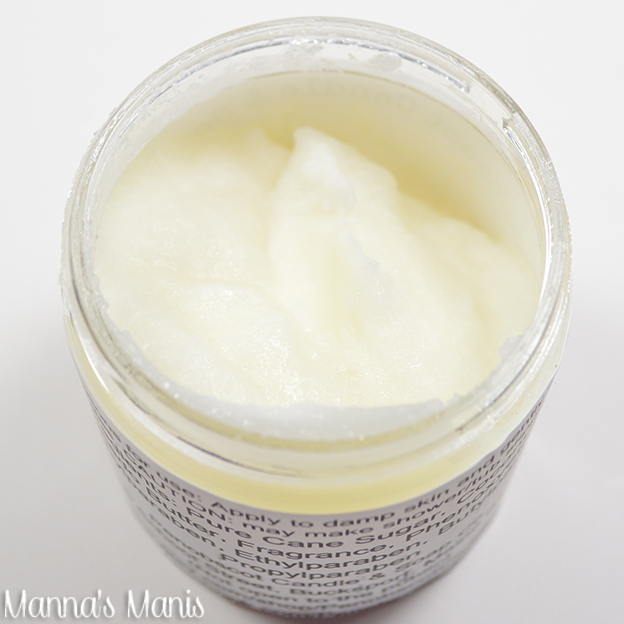 It is described as a super moisturizing hand and body cream enriched with vitamin E and lightly scented with wild violets, rose and jasmine that is softened by vanilla and white musk. My label was incorrect, the instructions said it was for chaffing, so I applied it to my thighs lol. I can tell you..it's amazing! Love the scent, and I love how soft my skin felt. 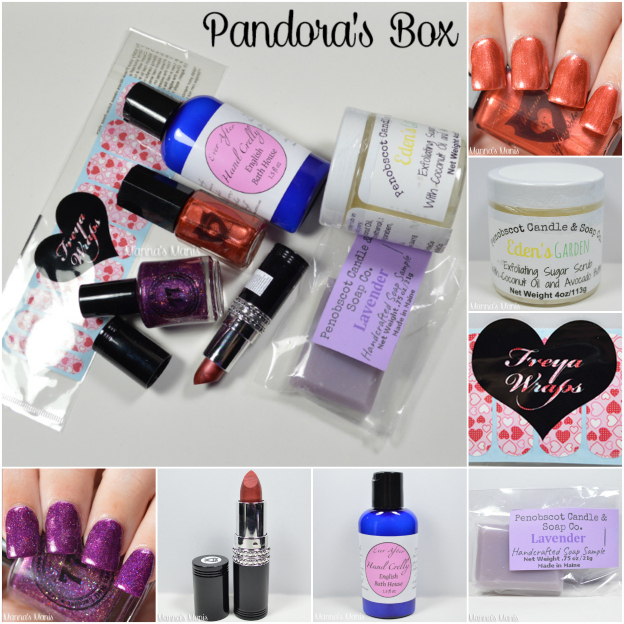 The February Pandora's Box is available on Athena & Aphrodite's ETSY SHOP and is $39.99. Pre order is open until January 20th, and boxes will ship the beginning of February.